Aretha Franklin’s death earlier this year sparked a mass outpouring of R-E-S-P-E-C-T, but the Queen of Soul probably never imagined that her estate would become the subject of public attention upon her passing. It has, however, because Ms. Franklin, who was 76 when she died, didn’t have a will in place to handle her assets, which were worth about US$80-million. Neither did the recording artist Prince, who was 57 when he died and whose estate is worth an estimated US$200-million. Celebrities or not, when people die without a will, their assets must go through the probate process, leaving assets and heirs in limbo. Legal and other professional fees are guaranteed; legal headaches or outright battles are common. Still, 51 per cent of Canadians do not have a last will and testament in place, according to an Angus Reid poll conducted earlier this year. Twenty-five per cent said they’re too young to have a will, while 8 per cent said they don’t want to think about dying. 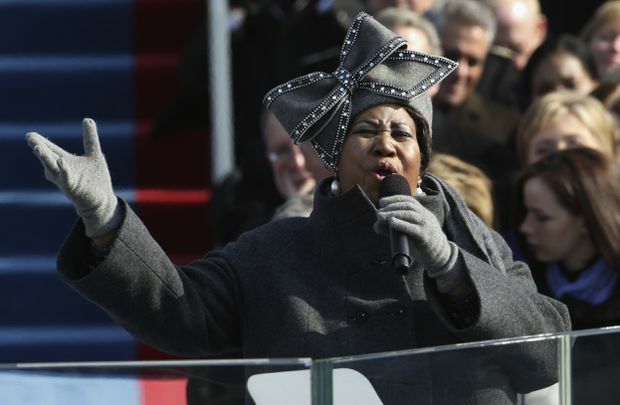 Aretha Franklin performs at the inauguration for President Barack Obama in 2009. Her estate was estimated at US$80-million when she died. Canadians with a household income greater than $100,000 were more likely to have a will than others (55 per cent, compared with 44 per cent of those making less than $50,000), while men are more likely to have a will than women (53 per cent compared with 46 per cent). If you die without a will in Canada, provincial legislation determines who will administer your estate, including decisions about funeral arrangements, where your assets will go, and more. “When you die without a will, that creates potentially a host of problems and also missed opportunities,” says Stephen Hafner, managing director and portfolio manager at Newport Private Wealth, which specializes in wealth planning for high-net-worth Canadians. Prince was 57 when he died, and he also did not have a will. Here’s an example of how it could play out in Ontario: Without a will, the surviving spouse would receive the first $200,000 after debts of the estate are paid. If there are no children, the remaining amount would all go to the spouse; if there is one child the balance above $200,000 is split evenly between the surviving spouse and child; if there are multiple children, one-third goes to the spouse and two-thirds to the children. If those children are minors, the money would be held by a public trustee (and can only be invested in guaranteed investments such as GICs), and when those offspring turn 18, they would get their full share. "And if the deceased person has been married more than once or has children from more than one marriage, then matters can become complicated very quickly,” Mr. Hafner says. In any case, the cost and time associated with administering the estate would certainly exceed the expense of a properly structured will, he says. But the consequences could also go beyond financial. For instance, when the minor child turns the age of majority, the full amount of the inheritance is delivered to them. Many wealthy people likely would not prefer that outcome. A poorly written will can sometimes be worse than not having one at all. Mr. Hafner recalls a wealthy client who died suddenly at a young age and who had had his real-estate lawyer draft his will. The estate ended up before the court for settlement, resulting in unnecessary hardship for the widow and children. One of his children had unique educational and care requirements, which the family should have been able to afford without concern; however, because of the way the will was worded, the man’s widow was unable to access those funds and ended up having to borrow money. “It was very frustrating for them and unnecessary,” he says. Mark Halpern, a trust and estate practitioner and founder of WEALTHinsurance.com, based in Markham, Ont., recalls a client who had no will. He was in his 70s and married with grown children, and he had spent a lifetime buying and selling real estate. The man wanted to do some tax planning, but he wasn’t certain of the value of his estate. When Mr. Halpern added it all up, it came to about $150-million. Mr. Halpern drove him to a lawyer to set up a will, power of attorney and spousal trust. “It’s more typical than you’d expect,” he says of people not having a will. Estates are also usually subject to taxes, and for wealthy individuals, they could be significant. Having a will allows for tax planning that could reduce the burden, experts say. With tax reduction and wealth preservation top of mind, most of Mr. Halpern’s successful clients have two wills, a primary one for personal assets and a secondary one for business interests. In Ontario, without probate tax planning, about 1.5 percent of a larger estate’s market value goes to the government. For an estate worth $10-million, that’s $150,000. Mr. Halpern has seen how things can become complicated without a will. He tells about a man who built a net worth of $50-million through business and real-estate investments and died suddenly at age 50 with no will. He was divorced with three children. Four lawyers are now involved, and their fees are eroding the estate. The man left no trace of important information, not even passwords for his personal banking. Not having a will can also present challenges to potential beneficiaries of the estate, says Ezra Lauterpacht, an accountant and partner at Toronto’s Zeifmans LLP. For one, people may start to come out of the woodwork claiming promises or gifts, especially when the deceased was wealthy and people assume there are large sums of money involved. “A will, generally speaking, encompasses everything – you’re able to document all of your assets, where they are held as well as who your executors are. If somebody dies without an executor, right away all their assets are generally frozen pretty quickly. Having a will allows you to direct who will receive your assets, be it family or a charity." Editor’s note: An earlier version of this story stated that, in Ontario, about 1.5 per cent of a larger estate’s value goes to Canada Revenue Agency. In fact it goes to the government of Ontario. The story also said that in Ontario, a surviving spouse would share any estate amount above $200,000 evenly with surviving children. In fact, if there is one child the balance above $200,000 is split evenly between the surviving spouse and child; if there are multiple children, one-third goes to the spouse and two-thirds to the children.